Confessions of a Foreign Language Learner – Beware the Comfort Zone! 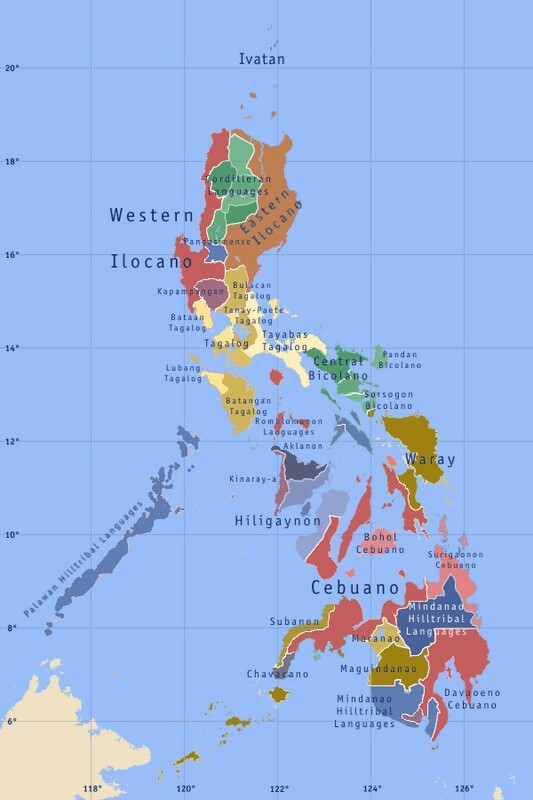 With over 7000 islands, the Philippines contains hundreds of cultures, people groups, and languages. The languages have common threads, but they are far more diverse than expected. Since there is a need for a common baseline of communication, English is widely spoken throughout the country. Hey, that’s awesome news for us foreigners, right? We don’t need to learn a foreign language, they can all speak English to us! Right? And if they don’t understand, the person standing next to them probably does, and can help translate. Well, in the larger cities, that’s true to a point. So why do it? In a nutshell, it builds relationship, far beyond anything simply exchanging words can achieve. 2. The person, or better yet, group of people, giggle hysterically. I’ve been told this is because they are so surprised and excited that you are speaking their native language, and don’t know how to react. And I don’t know if I believe that. 3. The person looks at you with pure confusion. Either they are trying to translate your Visayan into Visayan, thinking you’re speaking English, or they don’t understand your “accent”. Moving here was the first time I ever learned I have an accent. I hope that means I sound exotic, like Gisele Bundchen, but I probably sound more like Charo. 4. The person says “unsa man?” (“what?”) over and over, usually in combination with the confused look, until I retreat, downshift into English, and stay there, tired and shy, for the rest of the day, week, or month. After all, they can understand my English, right? But, on that note, even though most people in the rest of the world learn English at a young age, when it’s easier, the whole experience has given me a true appreciation for just how difficult the learning process is, at any age. Especially English as a second language. Could there be any more exceptions and quirks to a language?! 5. Panic ensues. This one is actually kind of fun when a group is talking about you, in front of you, unaware you understand even a little. All you need to do is drop a key phrase or two, no matter how simple. You might have understood what they said, you might not have, but they don’t know, and it’s fun to keep them guessing. Yes, sometimes we’re evil like that. A while back, Dan and I walked into a store full of girls who, in typical fashion, ran and hid behind the counter, something that usually happens when a white guy, especially a “cute” white guy, walks in. The giggles and conversation was a virtual game of drawing straws, deciding who the brave one would be to come help us. The chosen one emerged from the shadows, while the others still giggled and continued to talk about how “gwapo” (handsome) Dan was. “Good morning ma’am/sir” the girl greeted us with, and Dan replied “Maayong Buntag” (“Good morning”). “You speak Visayan?” she asked in a slightly panicked tone. “Gamay lang” (“just a little”) was Dan’s reply, which was enough to incite a new round of shrieks from the back, intermixed with rapid, incomprehensible speaking, which probably included pointing fingers. Ah, fun times. 6. Or, my favorite. The person actually understands and responds. And even if it’s not perfect, they encourage you in your progress. I have finally started to tiptoe out of my language bubble, and it’s amazing how much more people begin to respond positively. Like everything else, it just takes practice, which is accompanied by a lot of stumbles, falls, and failures. You have to go through the hard parts to get to the good stuff. And this is where relationships, and the dynamic of friendships change. I have talked to and taught my “Saturday Kids” through Vergie, my friend and awesome translator for over two years, but talking directly to them recently has changed things fast. I have known about the kids, have known their families, their likes and dislikes, and their dreams, but having real conversations has allowed me to get to know them personally. The grins I have gotten when we have a chat, however simple and small, is a huge reward. A few weeks ago, I saw Mary Grace, one of our girls, in the neighborhood, and without my translator in tow, I had a short talk with her. She was characteristically quiet, and I again just chalked it up to “she doesnt understand anything I’m saying”. But, few days later, Vergie told me she saw Mary Grace the day after I had, and Mary Grace told her with a heap of enthusiasm, “Marlene was really speaking Visayan! She really understands!”. Stories like that make it worthwhile. There will be bobbles, slip ups, and you will probably tell people that yes, you have seventeen kids who are coconuts with purple hair. But, the local people, even if they can speak English or your native language, will appreciate your effort. It shows that you care enough to be vulnerable, to risk making mistakes in front of them, and this is a huge part of how true relationships build and grow. At worst, you’ll give someone a fun story to share with their friends, about the foreigner who was clearly speaking in tongues. But, honestly, most people will appreciate that while you are there to “help”, you are teachable. They will appreciate and respond to you vulnerability. And the end result can be pretty cool. Previous Post What To Do About Third Culture Teens?